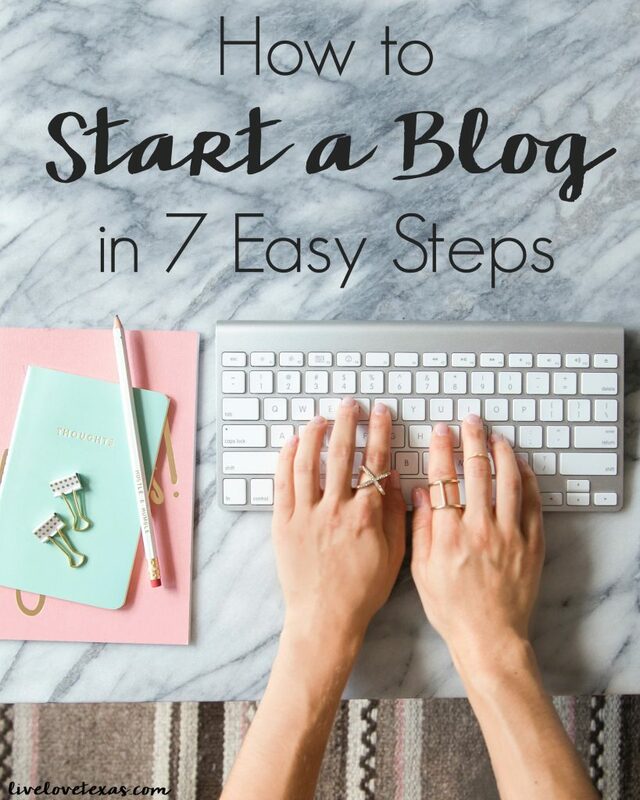 Hopefully by now you’ve had a chance to read my first post about how to start a blog. You’ve discovered how broad or narrow your content is going to be. 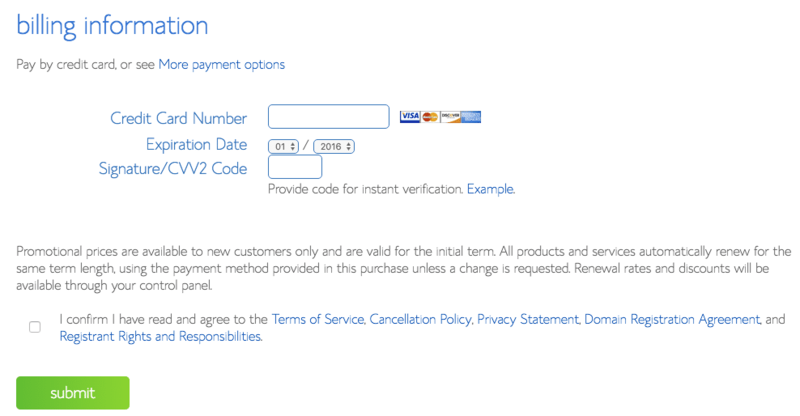 You’ve already created a blog name and purchased a URL. Now the next step in how to start a blog is to set up reliable web hosting. I’m going to break this down for you in step 2. 2. Set up reliable web hosting for your blog. Web hosting is where your website is stored and made accessible to those on the Internet. This is a vital part of setting up your blog because people can’t get to your blog without this. It’s a server where your content, photos, and everything else will be virtually housed so you won’t have to worry about keeping copies of all of those things on your computer. I know it’s tempting to just go with a blogspot blog, but take it from me, do it right from the beginning. 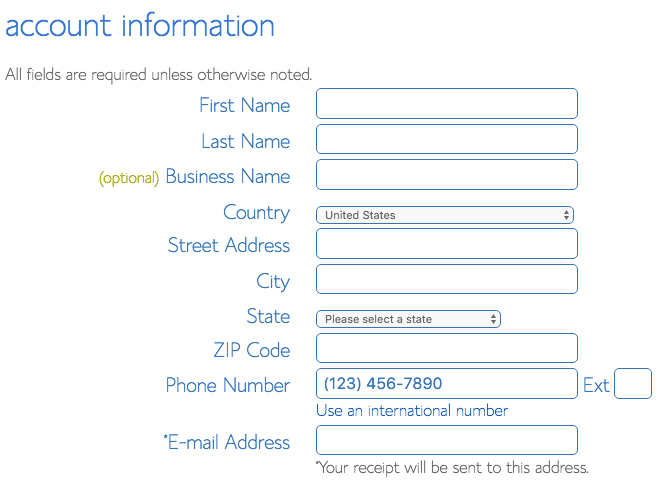 A little extra outlay of money on the front side will save you tons of frustration down the road when you decide you want to migrate because brands aren’t taking you as seriously because you haven’t invested in your business and your domain isn’t your own and doesn’t look very professional. 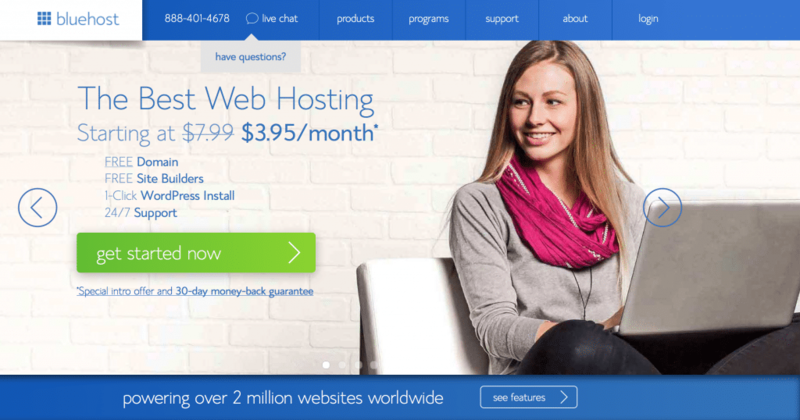 If you can only afford to do one thing, go ahead and pay for the web hosting. Once you get going, you’ll easily be making enough money each month to cover these expenses. 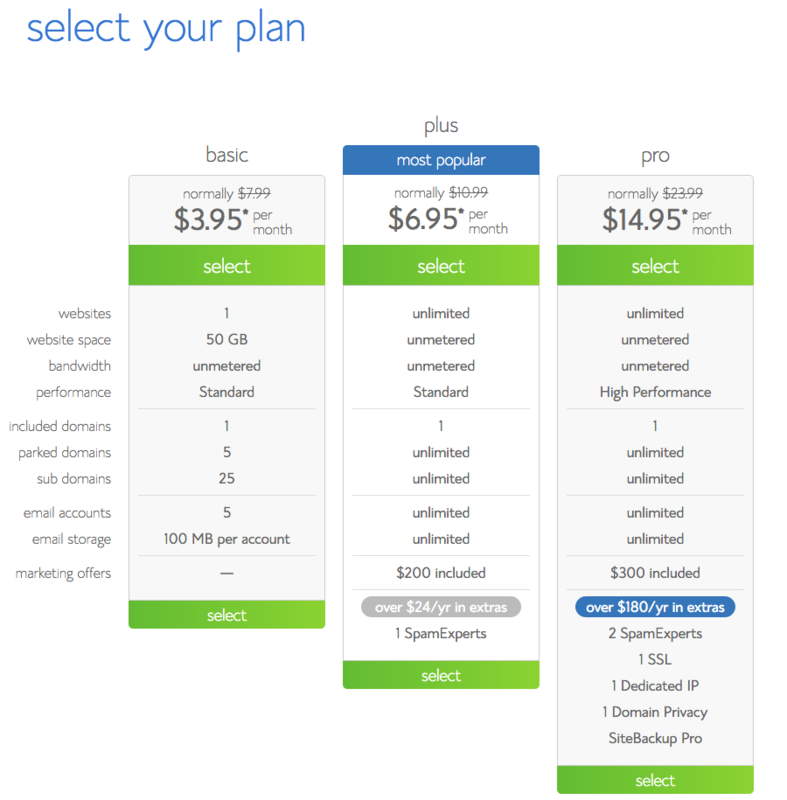 Now to get the free domain name ($15 value) and the lowest monthly rate possible, you’ll have to sign up for a year at a time. My advice is still go with this option. You can give it a year and then reevaluate where you are. But, if you decide in a few months that blogging isn’t something you want to stick with ,you can just contact Blue Host and get a refund for the rest of the term. Cost: varies. 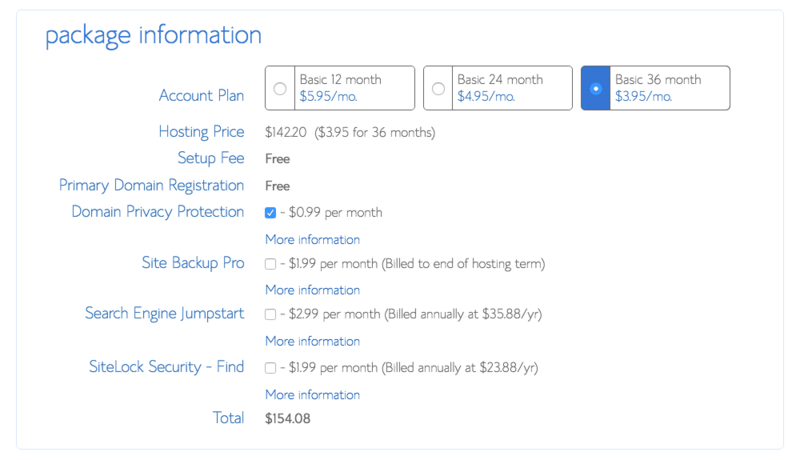 You can get hosting as low as $3.95/month through Blue Host or more. The one add-on that I would suggest is privacy protection. It’s just not safe to have your personal information (like home address) floating around out there with all of the other personal info you’ll be sharing about your family, schedule, and habits on your blog. Setting up hosting is super easy. Just follow these steps! Now you’re ready to setup WordPress!